Cats of all ages, especially these seniors and those who have weak urine, may suffer from urinary tract infections (UTI). Right when bacteria enter the cats' kidneys, bladder, urethra, or other parts of their urinary tract, what they have to suffer will range from making them annoyed to resulting in an awfully painful death. Urinary tract infections can sometimes be synonymous with other serious diseases. That’s why you need to treat the Urinary Tract Infections in Cats as soon as possible. But how long does it take for a UTI to go away in a cat? Keep on reading! What Are Urinary Tract Infections (UTI) In Cats? Just like people, your lovely kittens can also be vulnerable to the occasional Urinary Tract Infection (UTI) - one of the most frustrating veterinary medicine syndromes. In fact, cats over the age of 10 are more likely to suffer from UTI. And cats under the age of 10 are less susceptible to this kind of infection. However, regardless of age, UTI can make your four-legged friends uncomfortable and even annoyed as litter always irritates it more. In the least uncomplicated cases, uncomfortable urination, frequent urination, and decreased appetite are something that cats might be suffering from. Meanwhile, in the worst scenarios, UTI can get completely obstructed, which cannot be treated easily, and even threaten their life. What Are The Symptoms Of Urinary Tract Infections (UTI)? Let’s imagine: It’s late in the evening, your vet office has not opened for the day, and you notice some strange signs at your cats. He runs back and forth to his litter box, but there’s nothing coming out. What Are The Causes Of Urinary Tract Infections (UTI)? For most infected cats, the cause of their urinary tract infection is unclear. The diets with the high volumes of grains and other acidic as the cat foods’ main ingredients are believed to increase the risk of contracting a urinary tract problem. Less healthy or much cheaper brands of cat litter are also thought to be the reason. The dust enters when burying and causes irritation. What is the best thing for your cats? No dust or low dust forming litters. How To Treat Urinary Tract Infections (UTI)? What to do right after you notice any of the above symptoms of urinary distress in your cats? Nothing is better and simpler than a phone call to your veterinarian. 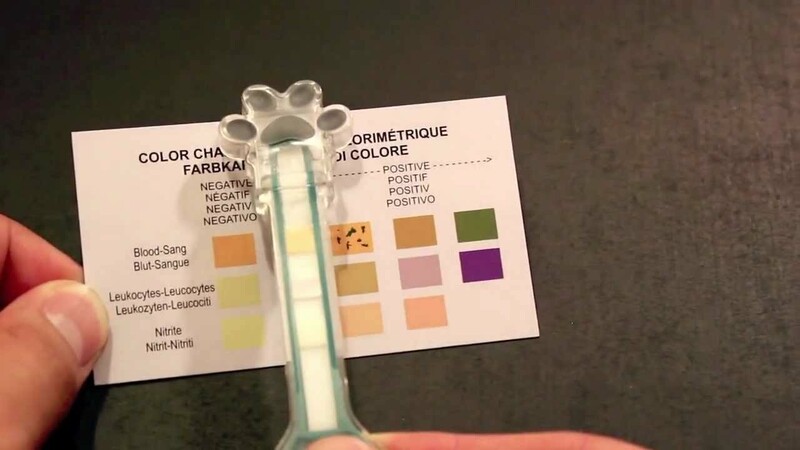 That way, you can have him/her diagnose your cats’ urinary tract problem as soon as possible and prevent them from a much longer period of treatment discomfort. After that, it’s time to get to know more about the treatment options for Urinary Tract Problems (UTI) in Cats. Apple Cider Vinegar or ACV is, without doubt, the easiest and cheapest treatment option for UTI in a cat. If you have your cat drink 2ml of ACV 3 times per day, their infection will be cleared up in less than 72 hours. Antibiotics is one of the best ways to treat the urethra -- and to relieve symptoms such as burning, pain, slow in the urine flows, and an urgent need to pee. Urinary Tract Irritations Control Supplement makes it different from these two above treatment options thanks to its ability to prevent UTI from coming back. How Long Does It Take For A UTI To Go Away In A Cat? The treatment duration depends on how complicated your cats’ infection is. And how can you know that if their urinary tract infection is complicated or uncomplicated? It depends on which medication and dose they get. In case your cats are suffering from an uncomplicated urinary tract infection, your vet might ask you to take antibiotics for a few days (from 3 to 4 days). And for much more serious cases, your cats will have to get these medicines for more than one week (up to 7 to 10 days). How To Prevent Your Cats From Urinary Tract Infection (UTI)? To evaluate all the urinary tract diseases in a cat quickly right after these symptoms occur, all cat parents should be aware of their signs. And to find out the causes of your cats’ urinary tract problem to treat, there is no better way than taking them to a reliable vet. After knowing that your cats are suffering from urinary tract infections and choosing the best treatment options for them, the next question to pop up on your mind is “How long does it take for a UTI to go away in a cat?” We’re here to help. Make sure to check out our post carefully.